This weekend, a really cool thing happened to food photographers. Daylight savings! Turn that frown upside-down, I feel like I was given a gift. Daylight, I love yoooooooou! For the next six months, we have longer days which means more natural light for food photos. Blogging just got easier, ladies and gents! Let’s switch gears from daylight to bread. 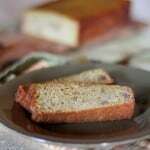 Back in my Paleo days, naturally sweetened, grain-free quick breads were my saving grace. After about three days of zero sugar, zero grains, zip dairy and heaven forbid no alcohol, a raging sweet tooth tears through your Paleoriffic bubble and lifts you into a sugar-crazed frenzy. It makes good people want to rob small children of their skittles. While hitch hiking through Feed Me Sugar Or Bust Land, coconut flour and almond flour becomes your besty. Surprisingly, gluten-less treats can turn out far superior to gluten-filled ones and that’s not even a lie. The upside to Paleo baking is it gives you a great foundation for healthful treat recipes which can be adapted to include other healthy ingredients that are not necessarily paleo-approved. This recipe is one of those isms. It’s a gluten-free and naturally sweet recipe with almond meal and a little brown rice flour, which can easily be made paleo if that’s your jam. The skinny on this here dandy beauty of a bread is lots o’ naners, lots o’ protein and a touch of natural sweetness. Hold on to your britches, folks, this one’s a wiiiiild ride. Give a slice of this to your grandma – I guarantee she’ll make the recipe a family heirloom. In a mixing bowl, mash the ripe bananas. Add the eggs, oil and vanilla extract and whisk together. Add the almond meal, brown rice flour, baking powder, cinnamon and salt to the banana mixture and mix to combine. If there are clumps of almond meal, mash them with a fork. Add the honey and chopped dates and mix to combine. Using about a tablespoon of butter, grease a loaf pan well. Pour the batter into the loaf pan and bake in the oven for 45 to 50 minutes. Mine took 45 minutes on the dot. 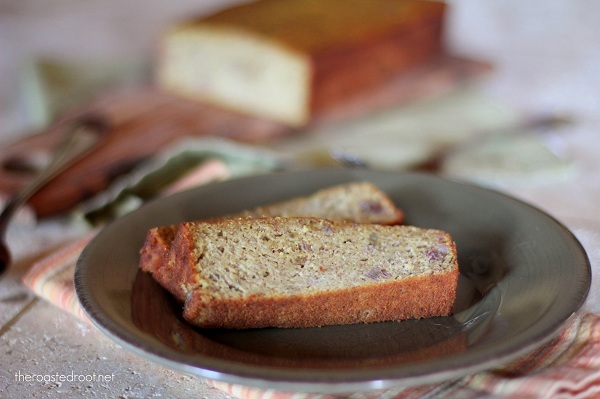 Allow banana bread to cool at least 15 minutes. Run a butter knife along the edges of the bread then flip the loaf pan over onto a cutting board to get the loaf out. Cut thick slices and enjoy! Amen to daylight savings!! I am so excited for summer!!!!!!! Also, this banana bread. Love that it’s gluten free. I’ve been researching gluten sensitivity and I think that I might be a victim, so this is great! I usually like my banana breads tall and fluffy and moist, but I think I could definitely be persuaded to this dense, delicious-looking loaf. Also, I am eyeing your pancake project on the right sidebar. Really excited to check it out! Love that this is gluten-free, looks fantastic! cheers to daylight savings! 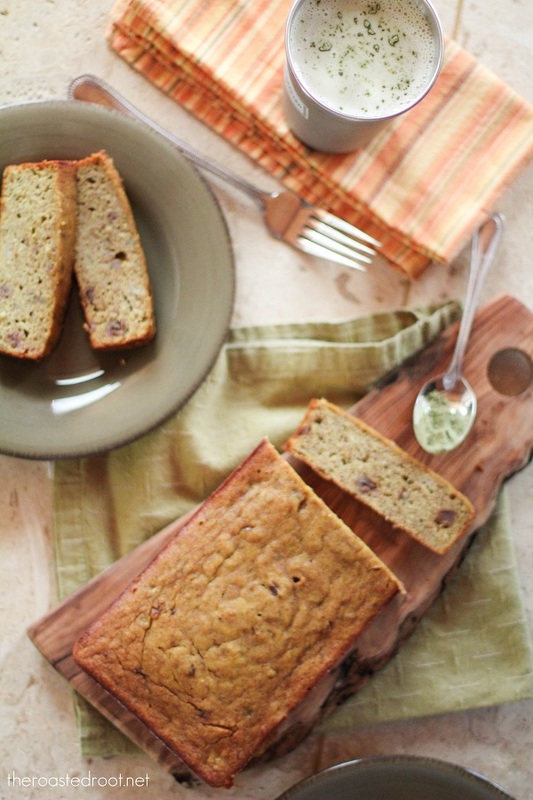 And this banana bread looks so stinking good! I just so happen to have 3 very ripe bananas staring me down in my kitchen. Cheers to that! I am loving the extra daylight! Exactly the opposite is happening on the other side of the world- days are shorter as we are moving towards winter. Love the gluten free version of the cake! So…..this just made my day! My Aunt recently went to a gluten-free diet and I was looking for something nice to bring her that says “you rock”. This my friend, is exactly what I have been looking for! I never thought of daylight savings time as a photography benefit… you’ve just enlightened me. 🙂 I love this recipe, btw. So meant for me. I just made this recipe and followed it to the T. However, it is taking a lot longer than 45 min to bake. At 50 min, I tested it with a knife and it was still very wet. Just made it, but replaced the rice flour with 2 spoons of coconut flour and the honey with stevia. Also made a mascarpone icing (that would be ‘frosting’ to your non-Brit readers) with vanilla and stevia. Family agreed it turned out delish. Many thanks for the recipe! can I replace the brown rice flour with coconut flour or almond flour ? You can replace the brown rice flour for either coconut or almond flour, but the bread won’t turn out as fluffy. If you use coconut flour, the ratio will be much different, so you’ll need to experiment with the amount of liquid to use. You should be able to use the same ratio of almond meal to brown rice flour. Let me know how it works out! Do you have to use dates, or could I just put more sweetener in it?